If you’re anything like us, then fishing is a great way to relax, and we’re always trying to catch the big one. However, we all know that fishing is not only a game based on skill and knowledge, but it also relies quite heavily on luck. Thanks to technology, from PowerVision Robotics Corporation, everything changes. Introducing the PowerRay Underwater Robot that was unveiled at CES 2017 earlier this month. Essentially, the PowerRay is technology that was designed to revolutionize the way that fishermen catch fish. It features a variety of tech that drastically increases the chances of you catching that monster you’ve been dreaming about. 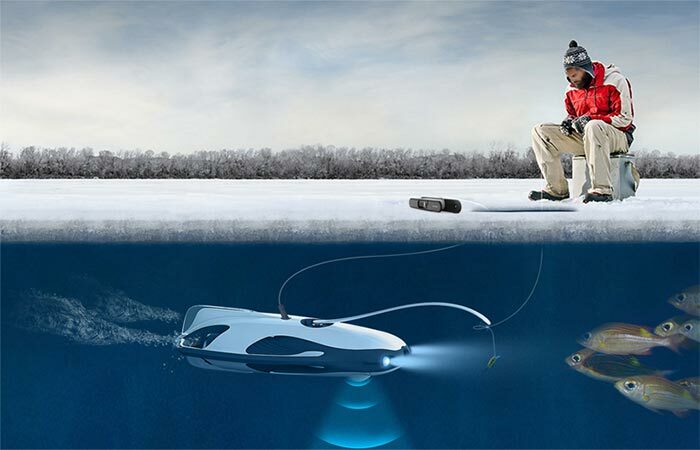 The PowerRay comes complete with a detachable sonar that has a range of 131 feet with an accuracy of 10cm (4-inches). It can also dive down to a depth of 98 feet. The PowerRay is also suitable to be used in freshwater, saltwater, or ice fishing. 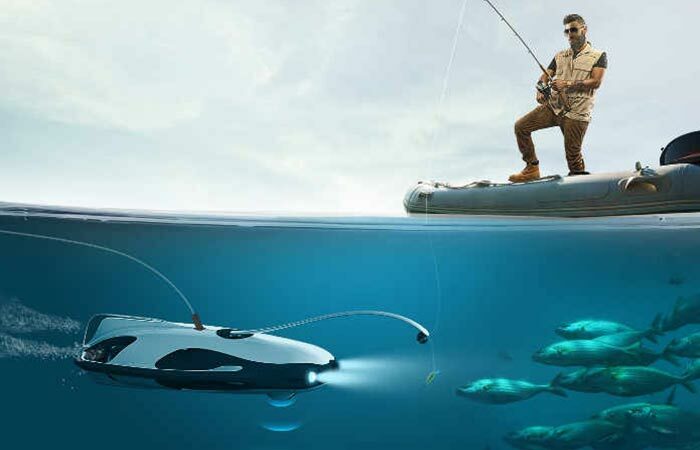 It combines the maneuverability of a drone with the technology needed to enhance your fishing experience. 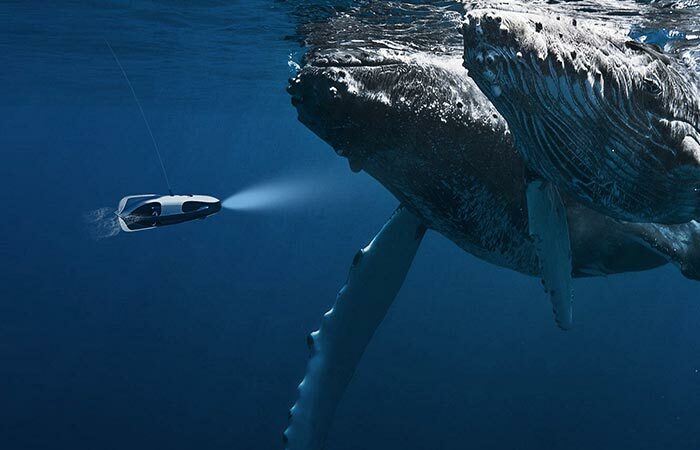 One of the add-ons is the PowerRay Fishfinder; it gives you an underwater sonar that can detect fish up to 40 meters away with a precision of 10cm. PowerRay also sends you real time images of the fish and the underwater landscape. Check out the video below. The PowerRay can be used for saltwater, freshwater, and ice fishing. It also has a built in fishing lure in the form of a blue hued light. It can also do temperature readings, and send you alerts via the internal WiFi system. The PowerRay can dive as deep as 30 meters (98 feet) and with the sonar’s 40-meter (131 feet) range below the drone, it gives you a total dive depth of 70 meters (230 feet). The PowerRay comes complete with a 4K camera that can sync to PowerVision VR goggles or your smartphone for live streaming. The VR goggles gives you an unprecedented first person experience. In addition to this, the PowerRay comes with a 4K UHD camera that has a 100-degree wide angle lens. It also features MP4 video at 30fps. You can also use PowerRay VR goggles with it for an unprecedented First Person View. Besides this, it has a battery life of approximately 4 hours. There’s no word on pricing yet, but it will change fishing forever.